Housed in a brick and timber loft in Chicago’s River North neighborhood, Medical Dermatology Associates is a 5500sf medical clinic for a newly formed practice. 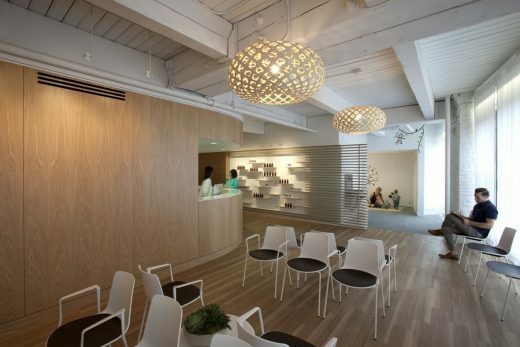 The partners wanted to dramatically improve their patients’ experience, a vision WTA realized by exploring a series of material and circulation layers within the design. 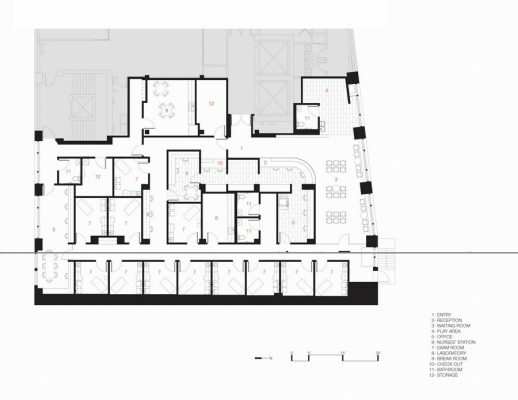 Spaces are layered sequentially from public to private, creating separate and efficient circulation loops for patients and for doctors. Plank floors and gently curved paneled walls envelope patients in warm natural materials in soft contrast to the existing white-painted timber frame and ceiling. 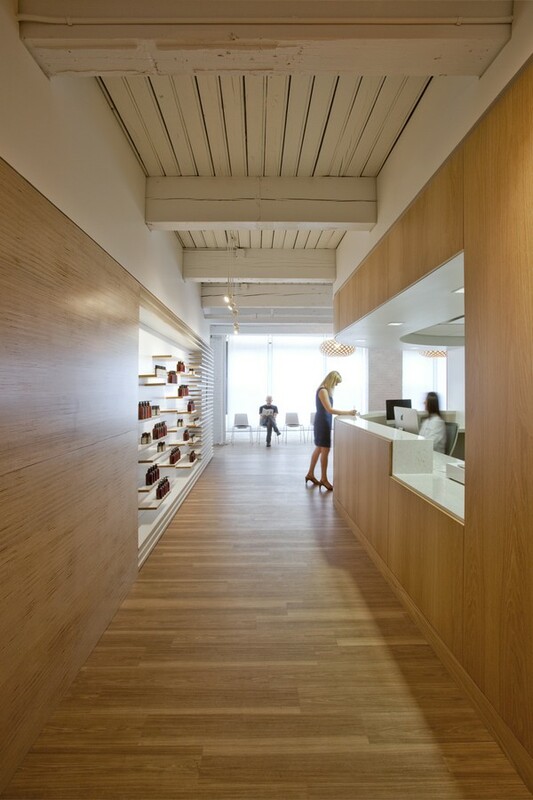 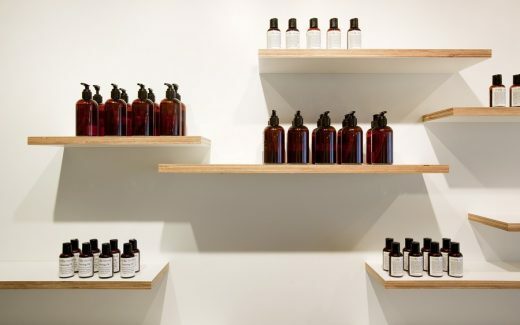 Baltic birch plywood is layered into an entry millwork element that acts as both circulation cue and showcase for the doctors’ custom skin-care products. 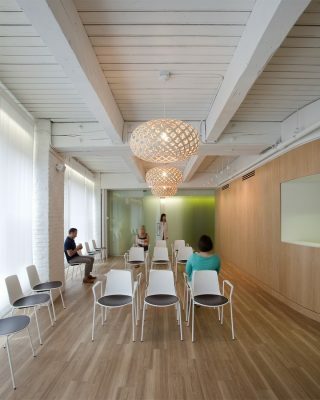 A veil of white translucent shades heals the disorder of a random array of utilitarian windows facing the backs of warehouses across a narrow alley, creating a soothing bath of soft daylight for waiting patients. 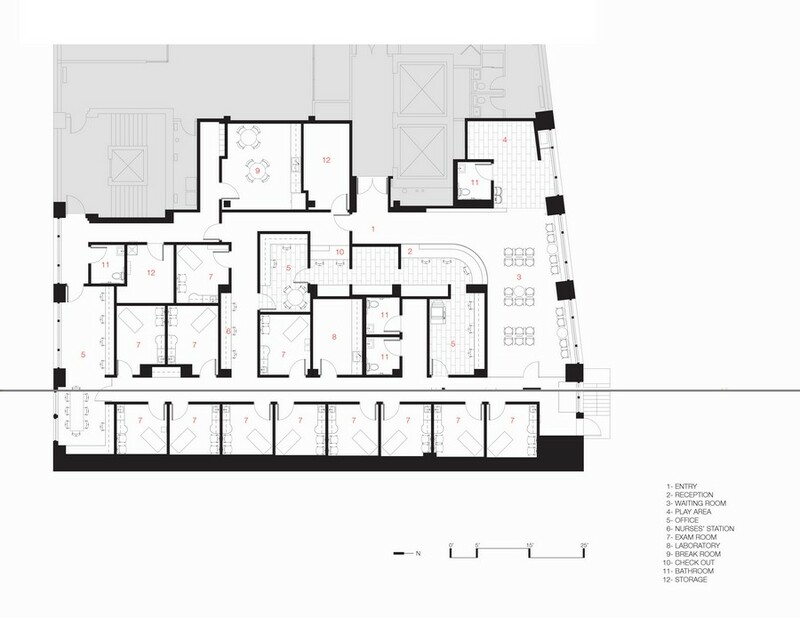 Once through the frosted glass threshold of the waiting area, patients enter a main corridor that becomes a primary element in their experience. 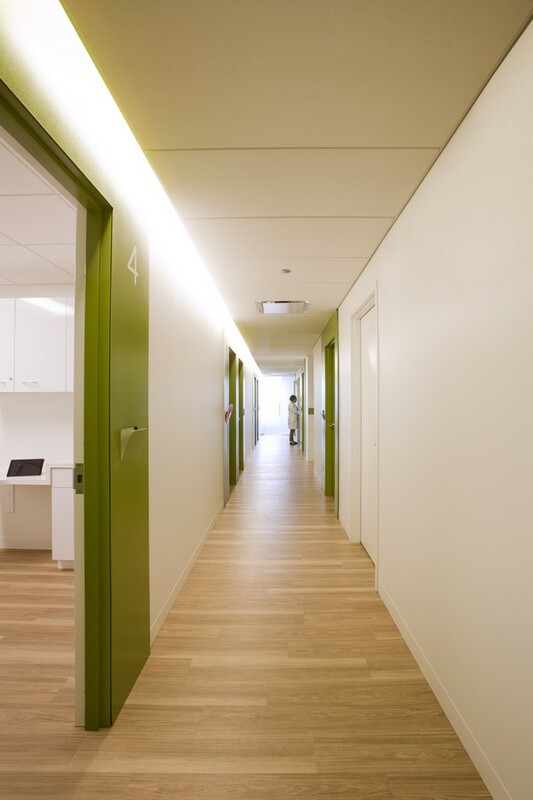 Cove lighting draws them through the space while magnetic metal panels animate each exam room entry and provides the armature for signage. For WTA, architecture is meant to be a tool that serves as an active participant and improves the functionality of a space. 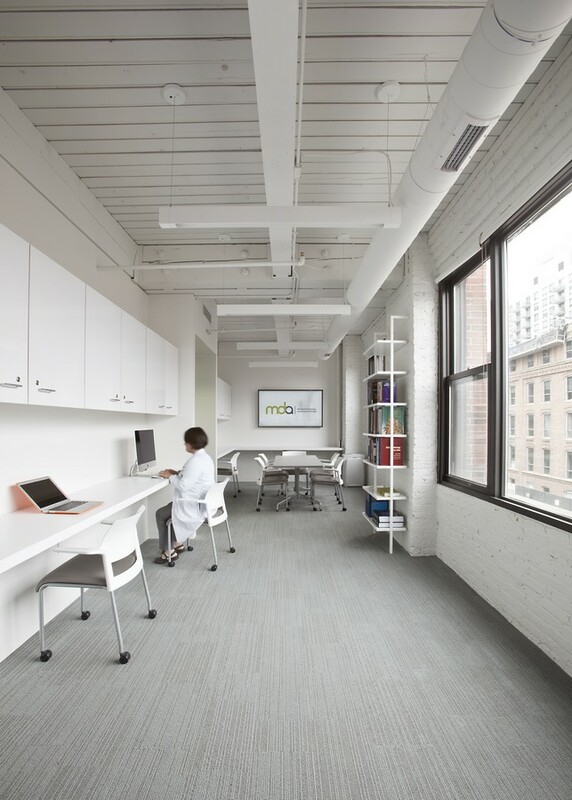 That is, architecture and strategic space planning can and should be utilized to augment the success of a business. 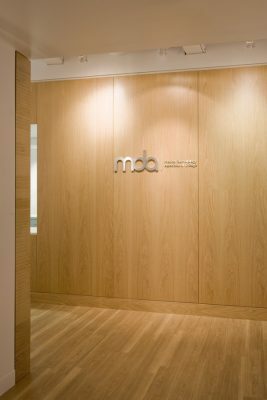 With the new offices of the Medical Dermatology Associates of Chicago, WTA applied a smart circulation layout, natural materials and meticulously designed creative merchandise displays for skincare products, all working together to offer patients a unique reception experience.